25, Rue des Saint Pères, Saint-Germain, 75006, Paris, Paris, Ile de France, FRANCE. 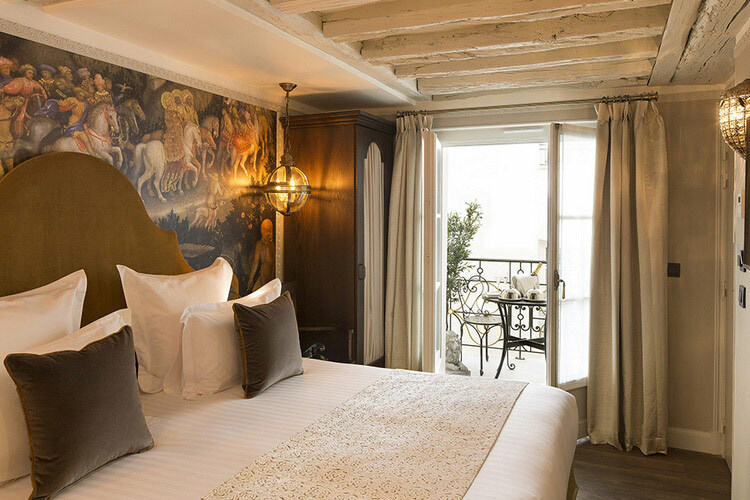 Located in the heart of the fashionable Saint-Germain-des-Prés district of the 6th arrondissement of Paris, this fabulous property has recently undergone a thorough renovation and modernisation. 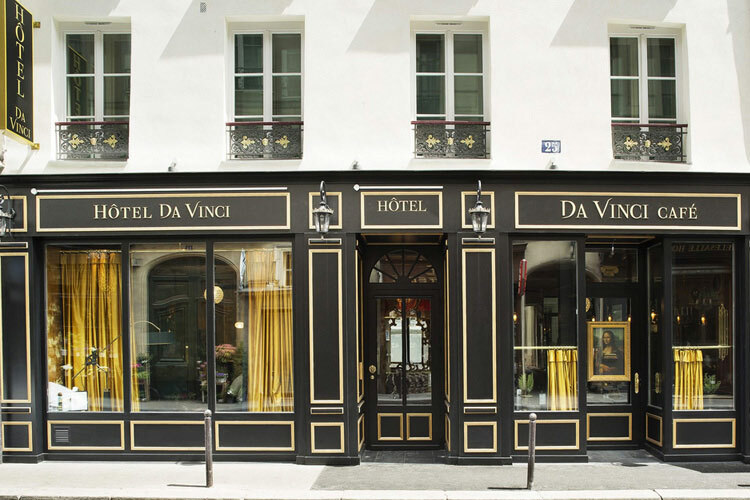 To coincide with the one-hundredth anniversary of the return of the Mona Lisa to the Louvre, this luxury boutique hotel is now called Hotel da Vinci, and offers exclusive accommodation in a magnificent central location. 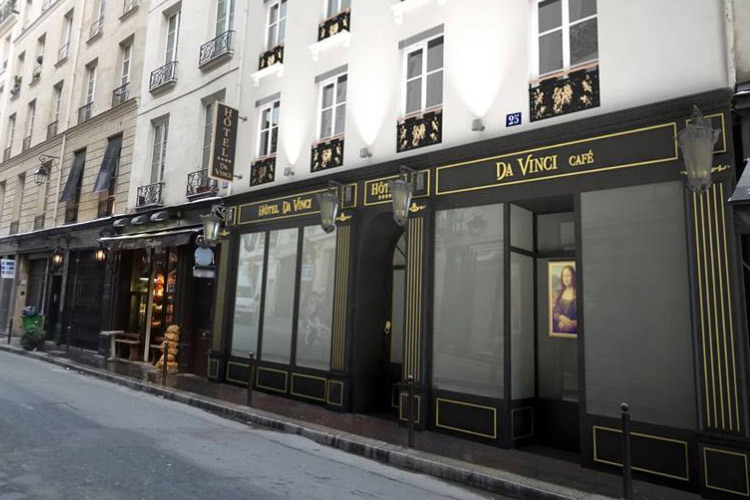 This historic property was reputedly the place where Vincenzo Peruggia hid La Gioconda after stealing it from the Louvre, and as such it is perfectly placed for easy visits to this fabulous city. 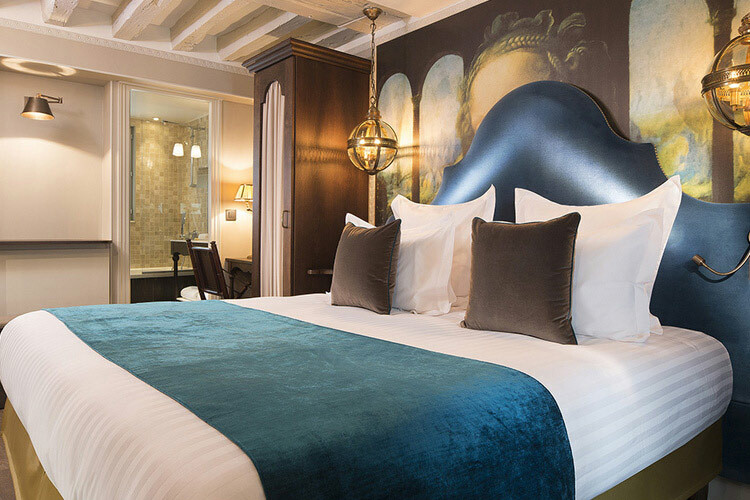 Within easy walking distance of the Louvre itself, the Musée d'Orsay and many other important landmarks and attractions, the hotel's Left-Bank location means that it is surrounded by myriad restaurants and cafés, including some of the most emblematic establishments in Paris. 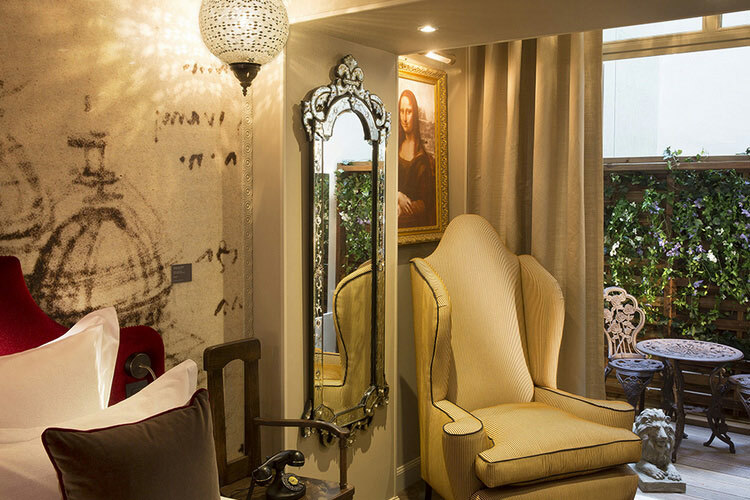 Hotel da Vinci is also home to the Café da Vinci, which features unique décor inspired by the famous Café Florian of Vienna. 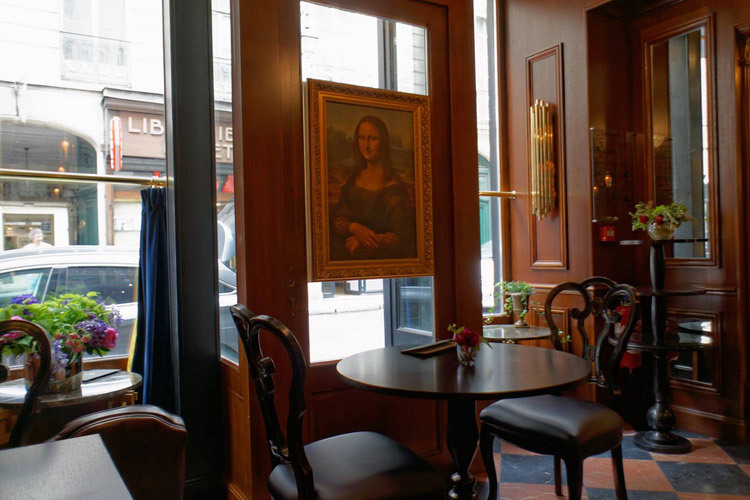 Café da Vinci prides itself on serving some of the best espressos in Paris, brewed in a faithful reproduction of the machine used in the Café Florian. 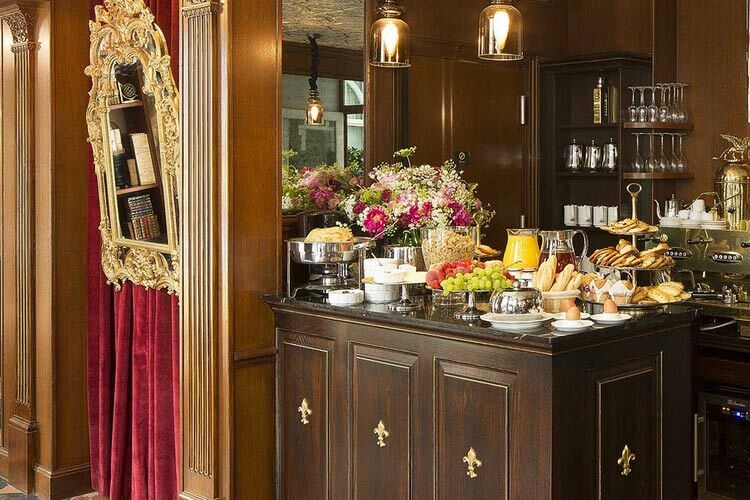 Hotel da Vinci's splendid breakfasts are also served here throughout the day, along with a fine range of fine wines, spirits and beverages. 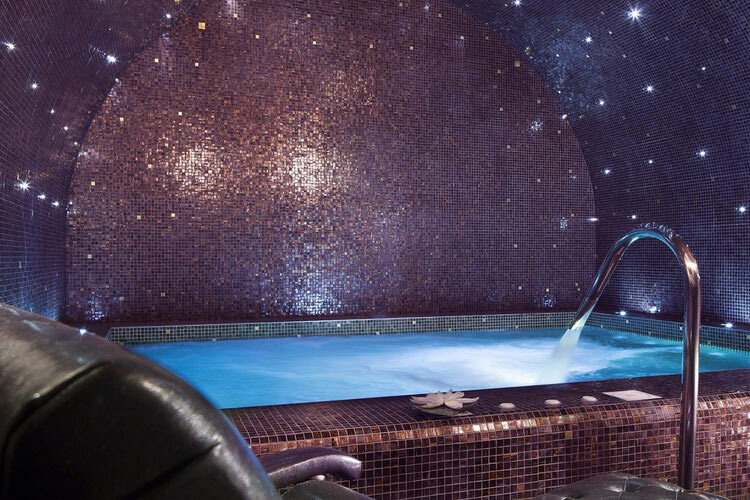 One more unique feature of the hotel is its exclusive counter current swimming pool, featuring a spectacular mosaic décor and vaulted ceilings. 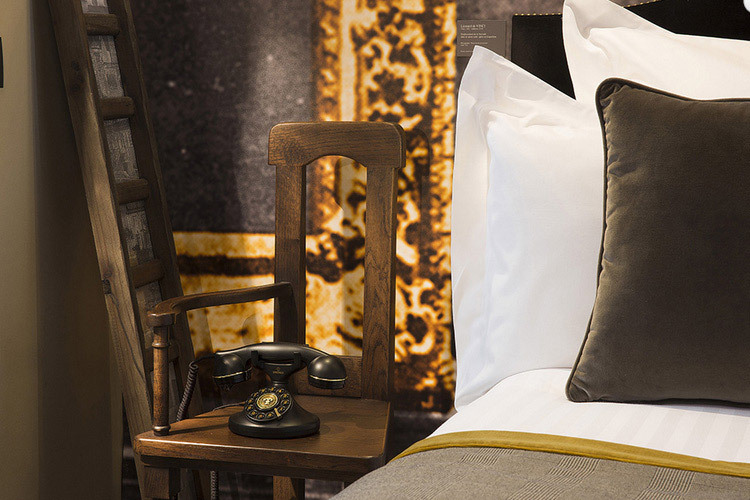 These double rooms have a mini-bar, soundproofing and a satellite TV. One double bed or twin beds. The en-suite bathroom has an Italian rainfall shower. Room size 13 sq m.
These twin/double rooms feature a mini-bar, soundproofing and a satellite TV. The en-suite bathroom has an Italian rainfall shower. One large double bed or twin beds. Room size 17 sq m.
This double room has a mini-bar, soundproofing and a satellite TV. The en-suite bathroom comes with an Italian shower and bath. One large double bed or twin beds. Room size 17 sq m.
These rooms have a balcony, and feature a mini-bar, soundproofing and a satellite TV. The en-suite bathroom has an Italian rainfall shower. One large double bed or twin beds. 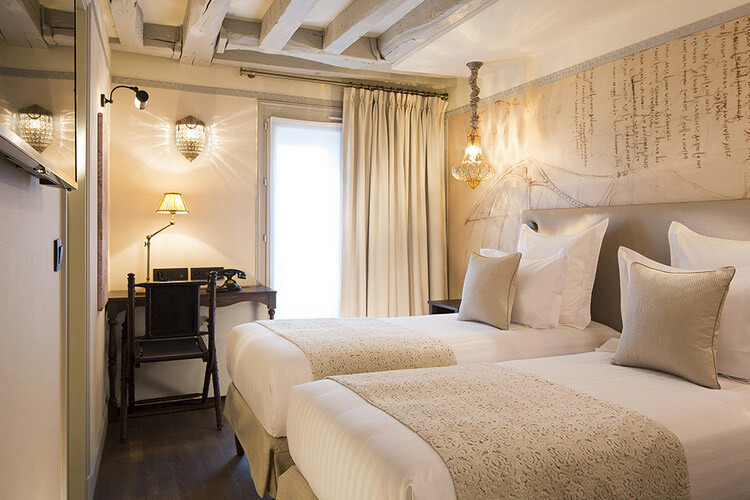 Room size 19 sq m.
This unique room recreates the place where the famous La Gioconda was hidden after being stolen from the Louvre. This room has everything necessary for a comfortable stay, including a large double bed, small terrace, flat-screen TV and mini-bar. The en-suite bathroom features an Italian-style shower. This room accommodates two guests. 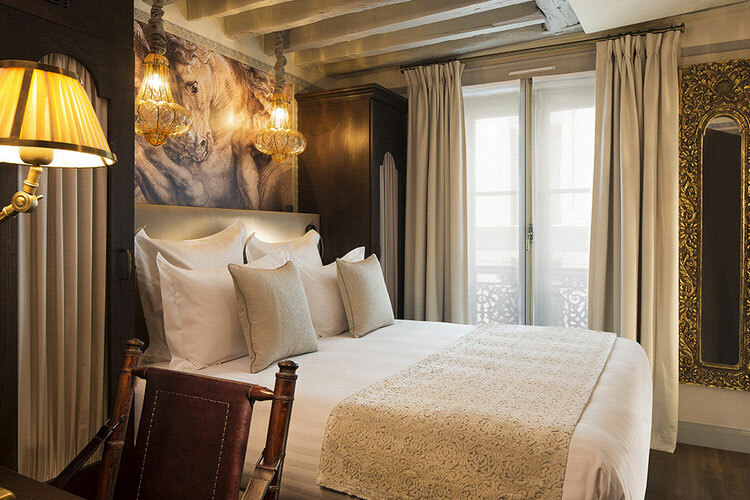 This ground floor room has a private terrace, and an en-suite bathroom with an Italian-style rainfall shower. This room can accommodate a maximum of two guests. All rooms feature: air-conditioning; flat-screen TV with cable channels; free Wi-Fi; mini-bar; safe; en-suite bathroom with shower, bathrobes, slippers and complimentary toiletries. Airport transfer services are available on request. Charges apply. Private parking is available at a nearby location. Year of establishment and/or latest refurbishment: May 2014. Nearest airport: Paris-Orly - 16,5 km. Golf 14,2 km: Golf de Saint-Cloud.